Ayurveda, a truly Indian medicinal system, has been neglected in the country of its origin. Today, Indian modern medicine doctors have very little idea about Ayurveda, and the system is not even introduced in the MBBS course. Overall, Ayurveda in India has not changed with the requirements of modern times, and very little research if any has been encouraged by the Government. Along with School of Health Sciences, Pune University, a modern medicine-Ayurveda interface was set up by Dr A Chopra in 1989 to explore the Ayurvedic system for better therapy of ‘difficult to treat diseases’. 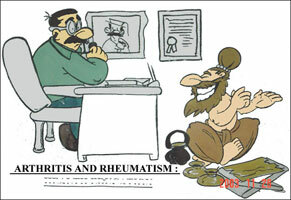 Arthritis was accepted as the model for study. Dr Chopra set up protocols to validate antiarthritic ayurvedic medicines as per modern norms. And the first well designed drug trial for a potential Ayurvedic medicine in patients with RA was begun in 1994. Several have followed with CRD being the co-ordinating center. CRD has contributed on various aspects of Ayurvedic drug development in treatment of RA and OA. A well recognized and validated outcome of this clinical research has been the launch of Artrex; an Ayurvedic derived antiarthritic medicine now manufactured and marketed by Dabur India. CSIR-Government of India has launched and funded NMITLI (New Millennium Indian Technology Leadership Initiative) project 2002-2005 to obtain global leadership position in certain niche areas. Arthritis has been selected as a principle NMITLI project with the aim to validate effective and safe Ayurveda derived herbal medicines for OA and RA. The project was begun on 01 April 2002. The entire CSIR- NMITLI project for arthritis has been set up from Center For Rheumatic Diseases, Pune and School of Health Sciences, University of Pune. CRD, Pune is co-ordinating the entire clinical project. In fact, CRD has already completed a major set of proposed Clinical Drug trials. Dr Chopra has been successful in publishing his research work on Ayurveda and Arthritis in leading peer reviewed western medical journals like Clinics of North America and Journal of Rheumatology. Till date no ayurvedic research work of this magnitude has ever been published in such journals. In addition Dr. Chopra has set up a module on Ayurvedic therapeutics on the PIER website of American College of Physicians for the benefit of thousands of modern medicine physicians. NMITLI & other Ayurvedic drug trials in CRD led to the formation of Research Methodology Group.